The US government is going to kill the small banking industry in the US. The irony is hard to miss. 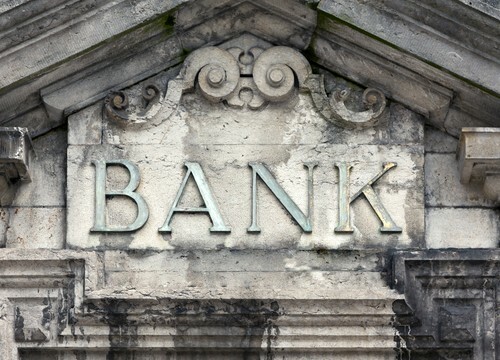 It was not the small banks that threatened the financial system in the crisis of 2008. Yet they will bear the brunt of the regulatory costs imposed in its wake. The end result will be that US banking assets will collect into the hands of even larger banks. It is a shame. Yet the death of the lamb is the life of the wolf, as an old saying has it. In other words, it is not all bad for everybody, as I’ll explain below. First, let me begin with a piece of anecdotal evidence from the departing CEO of Third Street Bancshares, based in Marietta, Ohio. His name is James Meagle Jr., and he had been in banking for 40 years. A CEO leaves some company somewhere every day. That, in itself, is not news. But few CEOs depart by saying that the company he’s leaving might not survive. Citing tremendous changes in regulatory costs and compliance issues, Meagle said he “didn’t have the patience anymore.” His old bank will have to spend about $100,000 to meet new demands from regulators. For a little bank with one branch, $100,000 is a lot of money. I bet it is a big chunk of the money it makes in a year. Third Street is privately held, so we can’t know for sure. “Absolutely ludicrous,” is how he described the regulators’ level of scrutiny. What’s this bank to do? Merge. It’s a story I’ve heard often from banking industry executives, as well as from professional investors in the banking sector. The small banks will have to sell out to larger banks, which can spread out those costs over a larger asset base. Some more color to the backdrop may help you focus in here. Let us consider the US banking system. What does it look like? Well, the top 20 banks hold nearly 80% of the industry’s assets today. Take a look at the nearby chart. The question naturally arises: How big do you have to be to earn an attractive return as a banking franchise in the US of A? It’s an unsettled question, even among industry insiders. What’s nearly certain is that the 2,490 banks on the bottom are toast. Those are the Third Street Bancshares of the world. Way too small to even make a go of it, like a 9-year-old trying to block linebacker Ray Lewis. The next level up will probably have to sellout as well. These are the 4,000-plus banks with assets up to $1 billion. In fact, regulatory costs, as well as banks’ net profit margins (from low interest rates), put pressure on the next block up to consolidate. Now here is the opportunity — and more irony. For good banks, buyouts occur at premiums to book value. Yet many healthy small banks trade below book value. In fact, in a recent issue of Mayer’s Special Situations, I urged my subscribers to invest in three specific small banks. Each of them trades below book value. Each of them has plenty of capital. And my bet is that at least one of them — and maybe all of them — gets bought out at a premium to book value in the next five years. I expect we’ll see many of the smaller banks combining over the next several years, like droplets of water forming with other droplets of water to make bigger and bigger drops of waters. As investors, you gain by owning the undervalued, small banks. But you can also play the acquirers. Here, you want to own the healthy predators, such as Republic Bancorp (NASDAQ:RBCAA), which has picked up a couple of failed banks in the last couple of years. It is a consolidator of banks and will grow as a result of the acquisitions. Investors benefit from consolidation because larger banks get a better multiple. Some months ago, I spoke with John Palmer at PL Capital, an outstanding investor in bank stocks. As John explained, “The larger the bank, the better they tend to trade off of book value.” Typically, a $3 billion bank will have a higher trading multiple than a $1 billion bank. And a $1 billion bank will have a higher trading multiple than a $500 million bank. So by moving up the food chain, a bank can actually increase its trading value based on asset size. The unfortunate part is that the industry consolidation underway will mean the death of the small community bank. The consequence of all those new rules and regulations is that the US banking system will become even more top-heavy. Banks will get even bigger. Banking assets will concentrate in fewer hands. And while I expect there will be lots of foot-dragging and resistance from entrenched boards and management teams, I think the deals will get done. There is too much money at stake. The eventual death of small banks ought to mean good returns over the next few years as these dynamics play out. For investors in bank stocks, the irony is profitable. Chris Mayer is a financial analyst with Bonner & Partners. He has been quoted many times by MarketWatch and has been a guest on Forbes on Fox, Fox Business and CNN Radio, and has made multiple CNBC and radio appearances. He’s also contributed to The Washington Post. Chris travels the world looking for great ideas and insights for his readers.